Last week, the Court of Special Appeals of Maryland reinstated an award of $1.1 million in the case of Barnes v. GBMC. 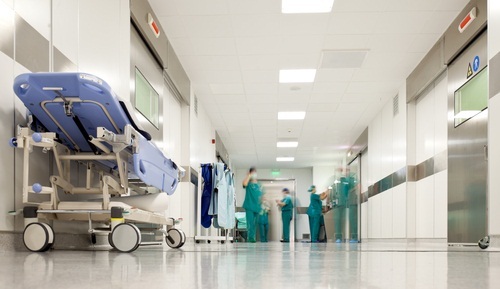 This appeal focused on the certificate requirements of the Healthcare Malpractice Claims Act (HMCA) in addition to other procedural questions surrounding the case. First the facts. Plaintiff sees his primary care physician because he is experiencing weakness and numbness in his right hand, arm, and side. The doctor thinks Plaintiff is having a stroke and sent him to Greater Baltimore Medical Center or, as we all call it, GBMC. He is not sent to the emergency room but to the urgent care department which typically gets, as you would think, less urgent cases. This is the origin of a lot of lawsuits to be sure. Plaintiff’s note from his original doctor is misplaced during this process so the initial assessment of a potential stroke was lost. So instead of getting the care he needs, Plaintiff is worked up for his wrist and diagnosed with carpal tunnel syndrome. Plaintiff goes home. Admitting nurse realizes the mistake and calls the Plaintiff and tells him to come back. It is determined that Plaintiff needed a medical evaluation by an attending physician. The Kaiser physician never appears and the Plaintiff is discharged at 1:00 a.m. the next morning. Total mess, right? Later that day, Plaintiff suffered a full stroke. The case goes to trial five years later in February 2010. Remember that massive storm we had where you lost your power? Plaintiff had the bad luck to have his case in the middle of that storm. So there is a mistrial and the second trial is set for March 2011. At trial – finally, six years later – the case goes to trial. Plaintiff’s key expert witness testifies regarding the breach of the standard of care as the proximate cause of Plaintiff’s injury. This expert testimony is that if Plaintiff had been properly evaluated, he would have been placed in the emergency department where a physician could have delayed or prevented the stroke, a fact that seems pretty obvious to all of us. Twice during trial defendant moved for judgment as a matter of law on causation grounds. Both motions were denied and the jury found for the Plaintiff. Damages were over $1.1 million. After the trial, Defendant moved for a post-trial JNOV. The circuit court granted the motion on causation grounds. The court found that Plaintiff’s expert witness did not establish a sufficient nexus between the violation of the standard of care and the subsequent stroke. I think the court did a smart thing and let the case go to verdict before kicking the verdict. I don’t like the ruling and, as you will see, the Maryland Court of Special Appeals did not either. But you do both parties a disservice by dismissing the case and making them try it all over again if you get it wrong. Here, the judge gets is wrong but it all works out from a judicial economy standpoint because this case was getting appealed either way. The Court of Special Appeals took up three questions on this malpractice appeal. First, did the circuit court err in denying GBMC’s motion to dismiss for failure to file a legally sufficient report from a qualified expert? Second, did the circuit court err in granting the defendant’s motion for JNOV based on insufficient causation evidence? Finally, did the circuit court err in denying GBMC’s motions for judgment based on insufficient evidence? To the first issue, Plaintiff’s medical malpractice claim requires a physician certificate because it falls under the Health Care Malpractice Claims Act. Where a plaintiff fails to provide a certificate of a qualified expert, the case will be dismissed without prejudice. So the question is whether the certificate was deficient. Here, the certificate was properly filed but the defendant claimed that the report lacked sufficient detail regarding the deviation from the standard of care and how GBMC caused the plaintiff harm. The court found the argument to be meritless because the expert properly supplemented the written report with testimony thus fully explaining his opinion on the case. Also, GBMC had access to this expert testimony from the mistrial before the second trial. This means that once the second trial began, any problems with the initial testimony or report were fixed essentially because they were supplemented. Additionally, the court noted that defendant waited six years to raise this issue. Wisely, the court refused to reward the sandbagger. The second issue is one of whether there was sufficient evidence of causation. To prove causation in a medical malpractice action in Maryland, an expert must show within a reasonable degree of probability that the breach in the standard of care resulted in plaintiff’s harm. Under Maryland law, this threshold of evidence is met when there is more evidence in favor of causation than against it. Here the court found that Plaintiff’s expert witness did, in fact, provide sufficient evidence of causation. The court assumed, as it must, that Plaintiff’s evidence was accurate and found that it was reasonable to infer from expert testimony that the hospital’s actions contributed to the ultimate injury. The finding on this point is pretty fact specific so read the opinion to appreciate the details. But, in sum, the court found that juries can read between the lines just a little bit in reaching the conclusions they did. The last issue addresses the standard for granting a motion for judgment. GBMC claims that there was insufficient evidence that a nurse was negligent because she was not the person who sent the Plaintiff to urgent care rather than the emergency room. The CSA did not agree with this argument because that same nurse acknowledged her signature on the triage assessment form. The court found this to be tantamount to sending the Plaintiff in the wrong direction. Which, of course, it is. The court thankfully lets common sense carry the day. So Plaintiff wins. But this opinion is a textbook example of why we need prejudgment interest in Maryland. It has taken 8 years – and counting if this is appealed up – to get justice in this case, most of which passed without any accumulation of interest. What are the facts that make a viable stroke misdiagnosis claim?